As prevention advocates, our commitment to meeting diverse needs is ongoing and complex. 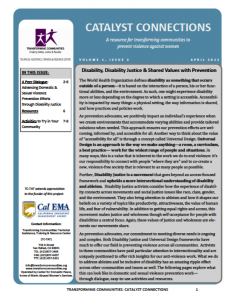 Both Disability Justice and Universal Design frameworks have much to offer our field in preventing violence across all communities. Activists in these communities have paid particular attention to intersectionality and are uniquely positioned to offer rich insights for our anti-violence work. What we do to address ableism and be inclusive of disability has an amazing ripple effect across other communities and issues as well. 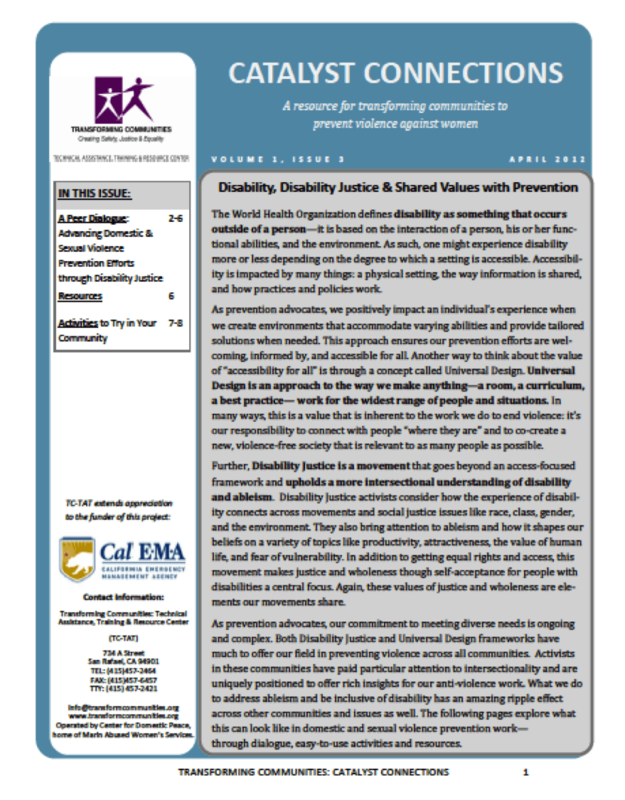 Articles include a A Peer Dialogue on “Advancing Domestic & Sexual Violence Prevention Efforts through Disability Justice,” two sample activities, resources and a note on language. I recommend you check this out.